The Reversed Hand with Middle Finger Extended emoji combined with the White flesh tone character. This gives the emoji the white skin color appearance. Yaay! 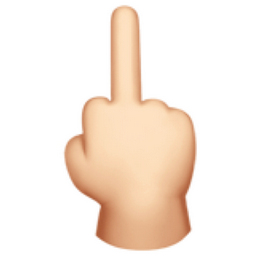 This emoji first appeared in OSX / iOS after the iOS 9 update.